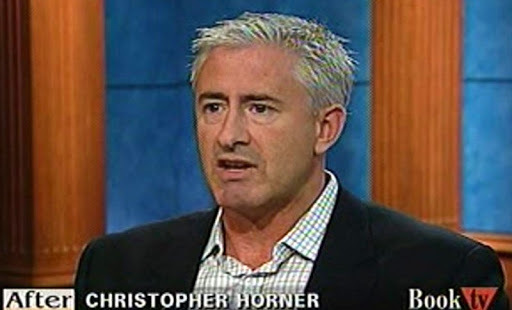 Christopher Horner, an attorney who claims that the earth is cooling, is known within the scientific community for hounding climate change researchers with relentless investigations and public ridicule, often deriding scientists as "communists" and frauds. Horner is a regular guest on Fox News and CNN, and has been affiliated with a number of think tanks and legal organizations over the last decade. He has called for investigations of climate scientists affiliated with the Intergovernmental Panel on Climate Change and NASA, and inundated climate researchers at major universities across the country with records requests that critics say are designed to distract them from their work. New court documents reveal one source of Horner's funding: big coal. Last Thursday's bankruptcy filing of Alpha Natural Resources, one of the largest coal companies in America, includes line items for all of the corporation's contractors and grant recipients. Among them are Horner individually at his home address, as well as the Free Market Environmental Law Clinic, where he is a senior staff attorney. Reached by phone today about his relationship with Alpha Natural Resources, Horner said he would get back with us. David W. Schnare, director of the Free Market Environmental Law Clinic, subsequently emailed a response neither confirming nor denying that Horner or his organizations have received funding from the coal giant. Schnare said that "nearly all" his organization's donors "request that we not disclose their names" and noted that under IRS regulations it is not required to do so. Schnare also stated that "the sources of our funding have no role in which cases" his organization prosecutes. The Alpha Natural Resources filing corroborates the suggestion in a recent email from chief executives of major coal firms that they are underwriting Horner's current work. In early June this year, the Coal & Investment Leadership Forum, a trade show, sent this message to its email list: "As the 'war on coal' continues, I trust that the commitment we have made to support Chris Horner's work will eventually create great awareness of the illegal tactics being employed to pass laws that are intended to destroy our industry." The email was signed by Alliance Resource Partners' Joe Craft III, Alpha Natural Resources' Kevin Crutchfield, Drummond Company's Gary Drummond, Arch Coal's John Eaves and United Coal Co.'s Jim McGlothlin. Horner has played a prominent role in the climate science debate for many years, though he has failed to uncover wrongdoing. In 2009, thousands of emails were hacked from climate researchers at the University of East Anglia. Horner quickly blogged that the "blue-dress moment may have arrived" and began appearing on media outlets to claim that the emails revealed "admissions of falsifying results, collaborating to subvert and violate the laws" in what he dubbed "Climategate." "Climategate" became a media phenomenon, with prominent politicians declaring that the emails revealed that climate change is a "hoax." The Koch organization Americans for Prosperity traveled to international climate change negotiations in Copenhagen in 2009 and proclaimed that the emails revealed a "scandal." Six official investigations later cleared the University of East Anglia scientists of accusations of any wrongdoing. "He has been instrumental in orchestrating the attacks on climate scientists over the past decade in the form of vexatious and frivolous FOIA demands, efforts to force scientists to turn over all of their personal email," says Dr. Michael Mann, a climate scientist targeted by Horner. Horner has also often cast scientists as villains. He claimed on Alex Jones' program "Infowars" that climate science is a backdoor strategy for enacting "global governance." On Fox News, Horner mysteriously claimed that White House science adviser John Holdren is "if not borderline communist - communist." In an interview with The Intercept, Dr. Gretchen T. Goldman of the Union of Concerned Scientists said it is "reprehensible" to learn that coal companies are "funding the harassment of scientists."